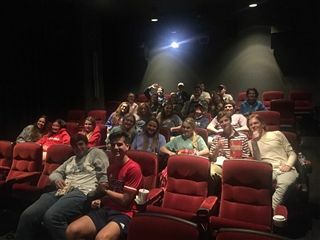 On Wednesday night, 34 Cascia students took advantage of the opportunity to see the documentary at the Circle Cinema about the Warsaw ghetto entitled - Who Will Write Our History. "This was a challenging documentary to watch but extremely worthwhile. To say they enjoyed it would be wrong, but they all certainly took something positive away from it," said their History teacher, Mrs. Gemma Booth. Mrs. Booth teaches AP European History and Germany Between the Wars.